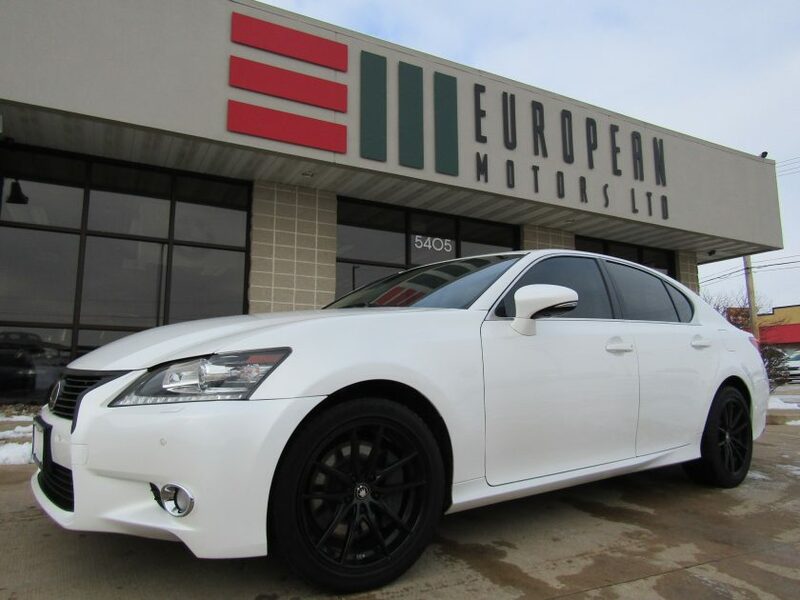 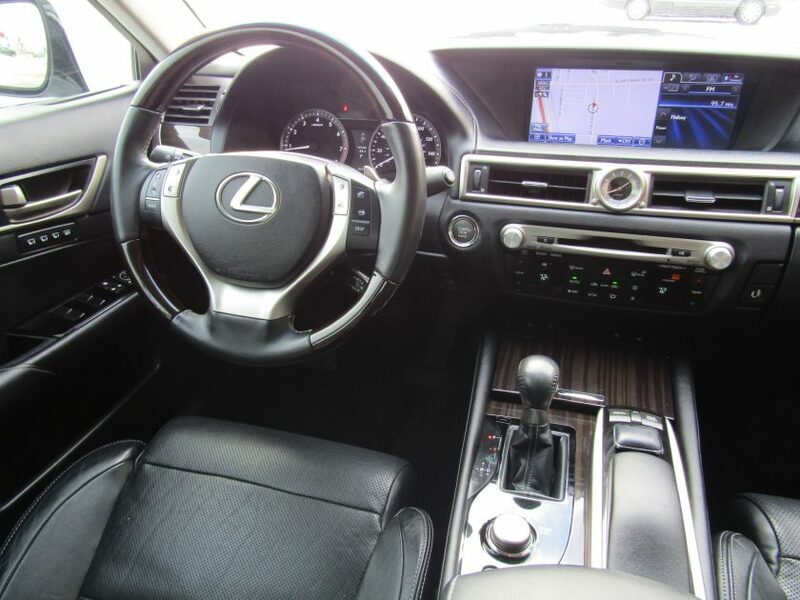 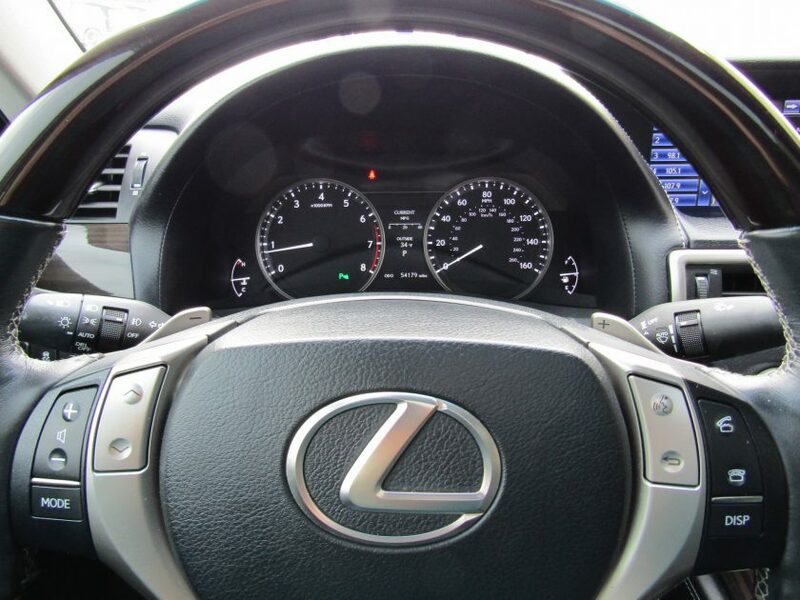 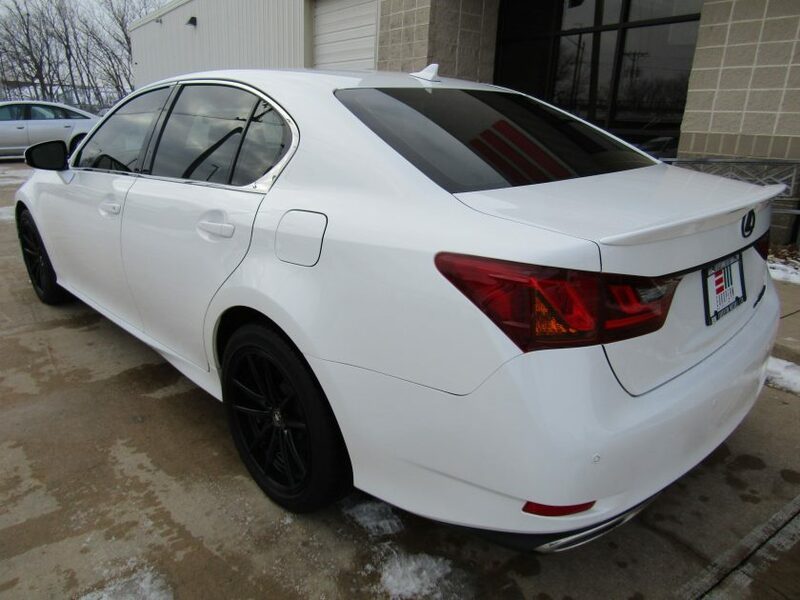 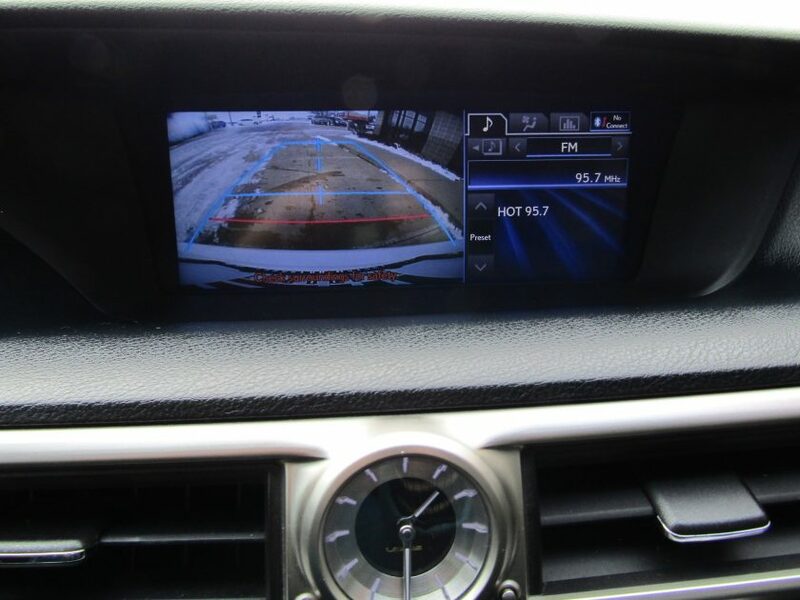 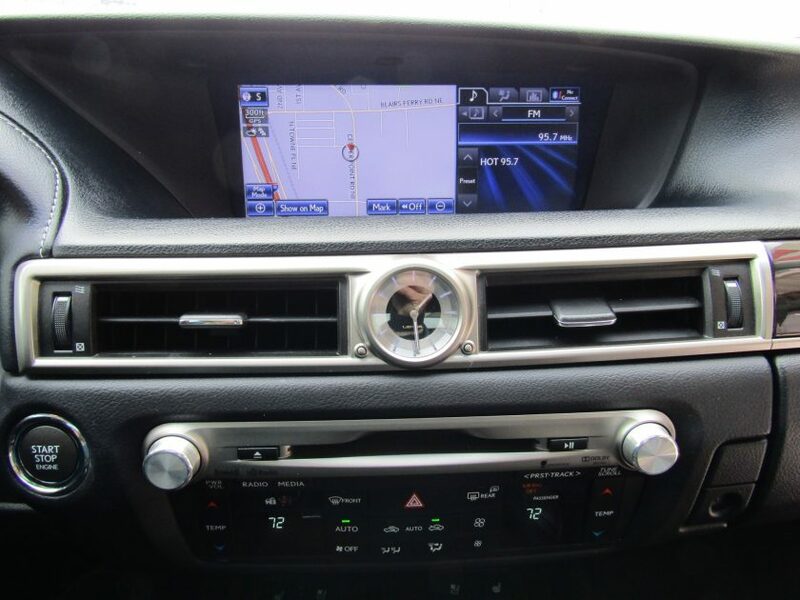 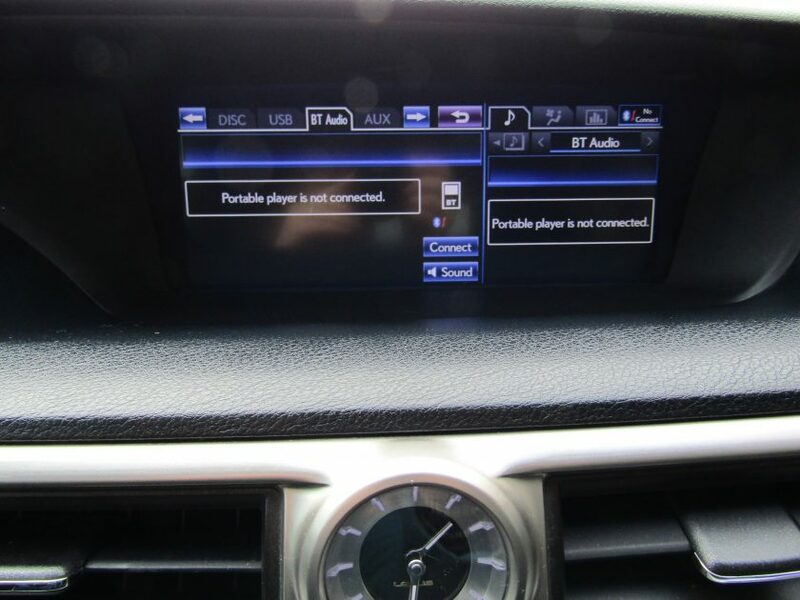 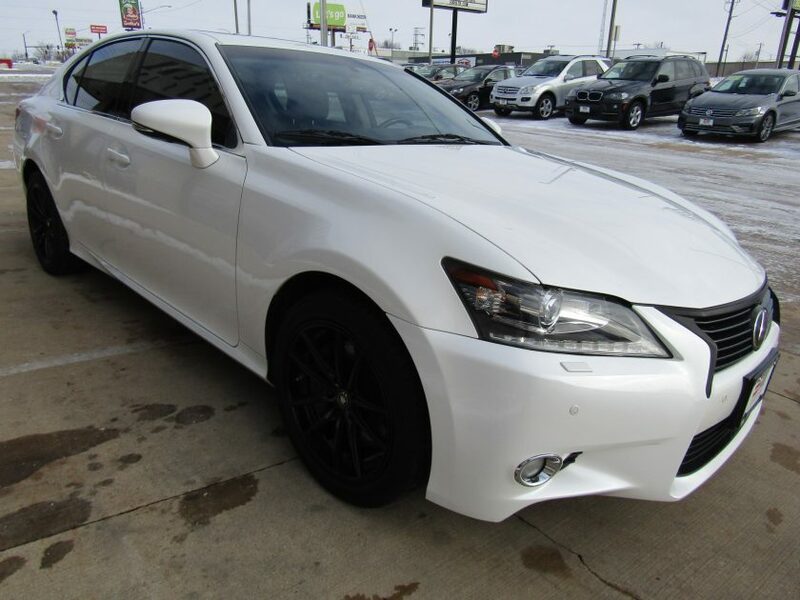 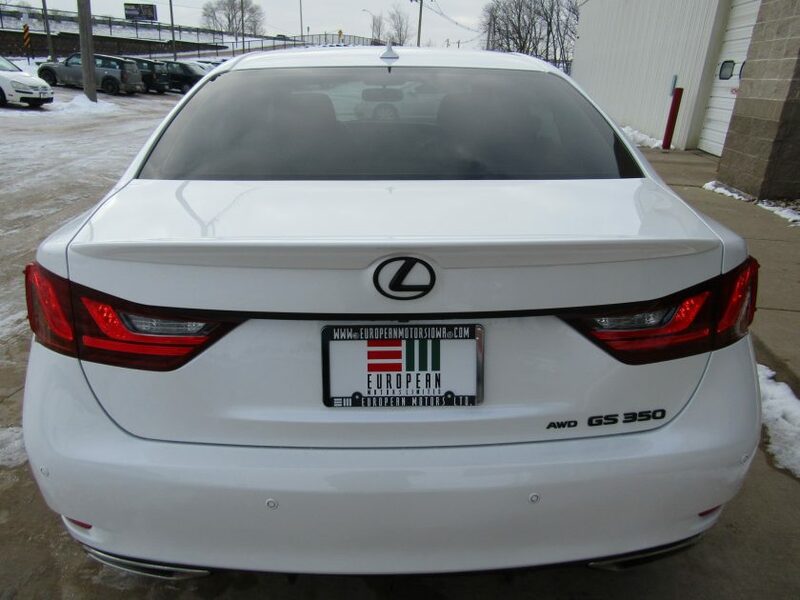 2013 Lexus GS350 AWD with Luxury and Cold Weather packages. 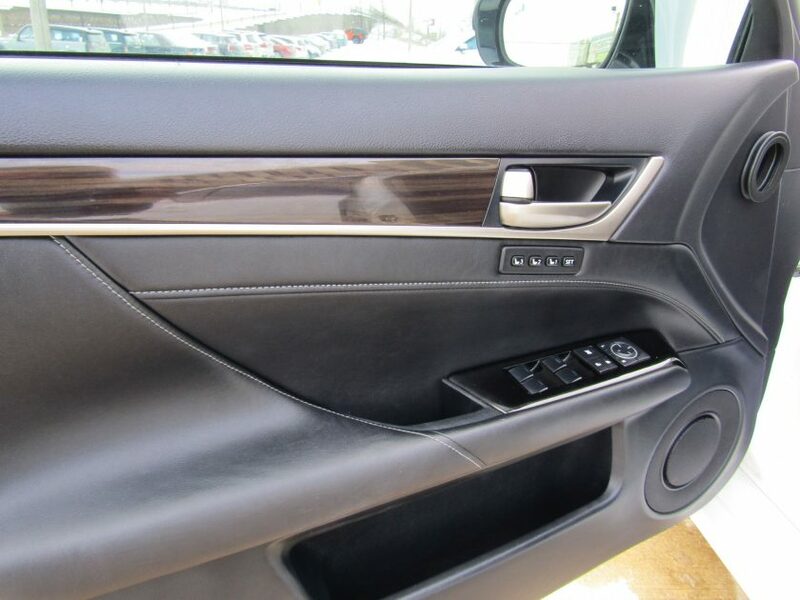 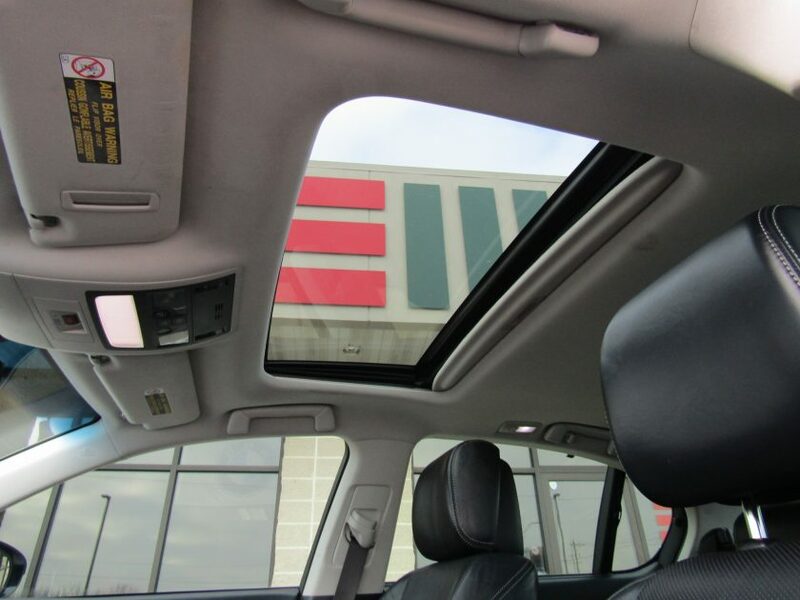 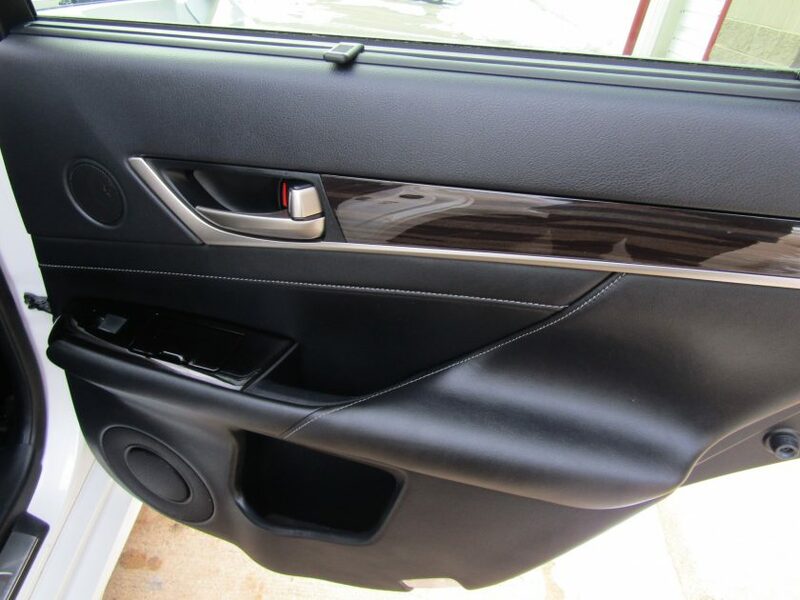 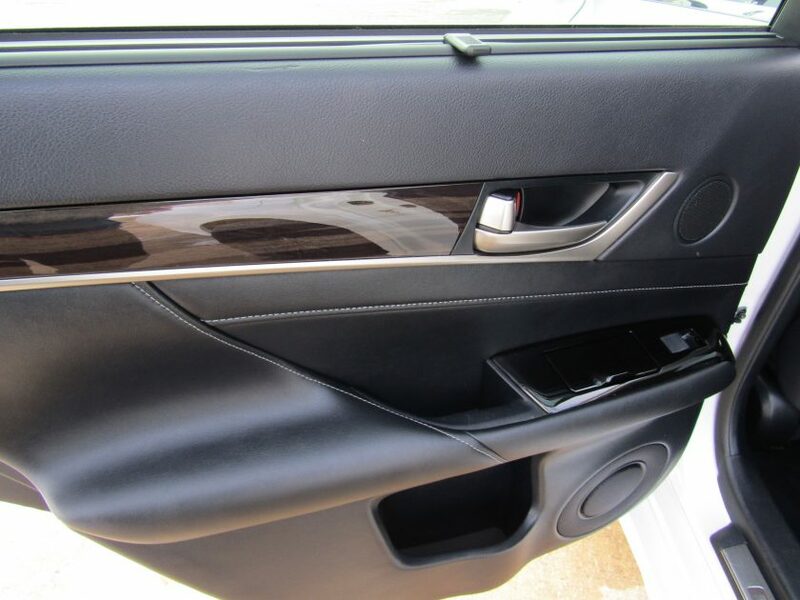 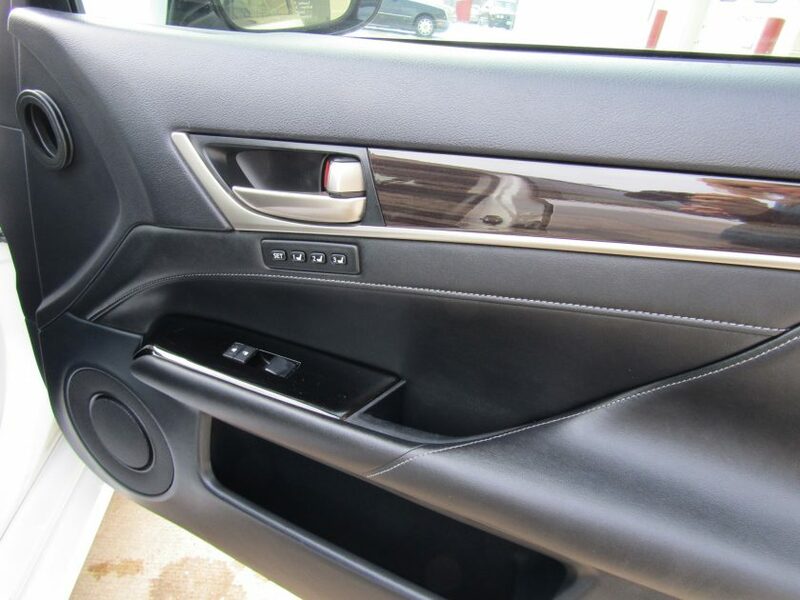 The exterior is dressed in a shimmering Starfire Pearl white exterior that houses a black leather interior with beautiful Linear Espresso wood trim. 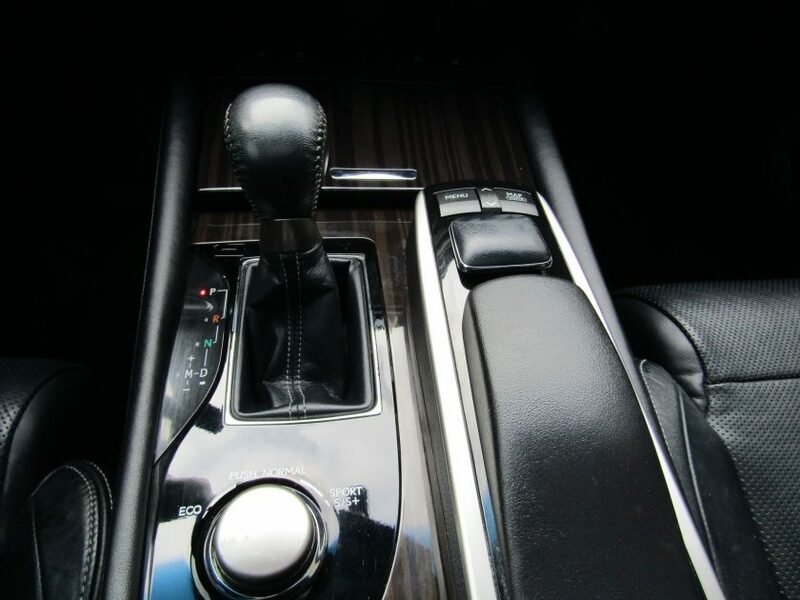 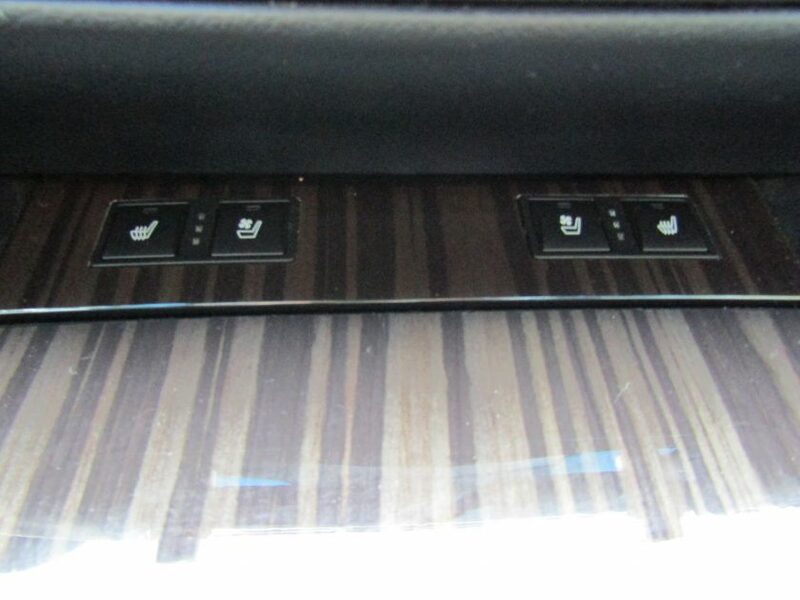 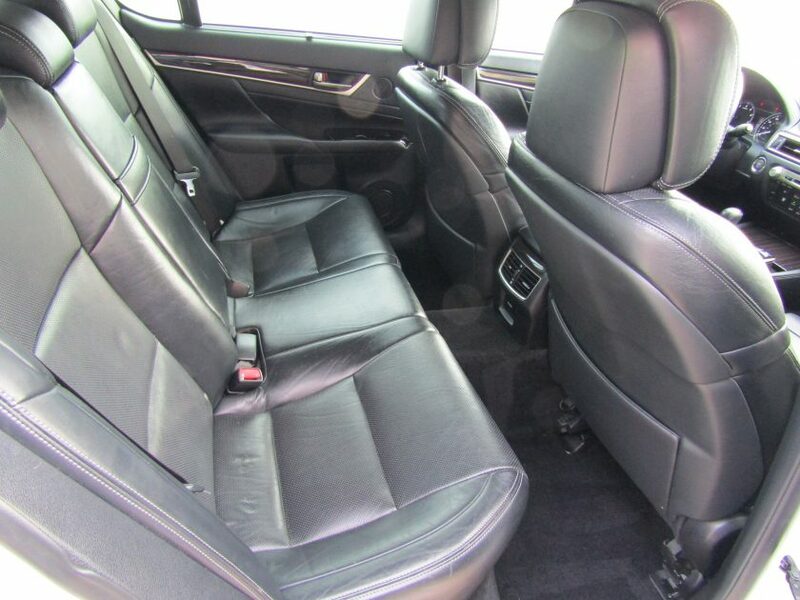 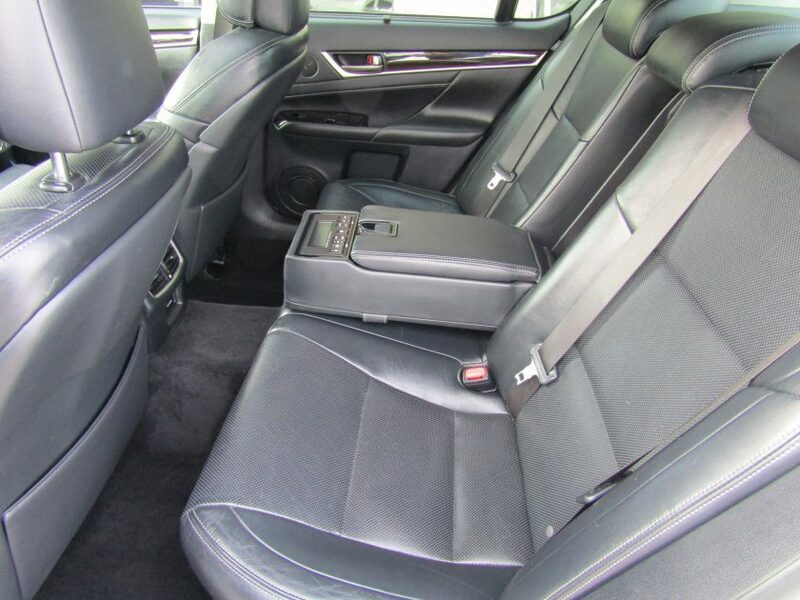 The Luxury packages includes factory upgrades such as 18-way power adjustable driver and passenger seating, Sport S+ transmission mode, 3-zone autoclimate, rear manual sunshades, adaptive headlights, powered memory passenger seat, Linear Espresso wood trim, a wood and leather steering wheel, adaptive suspension and so much! 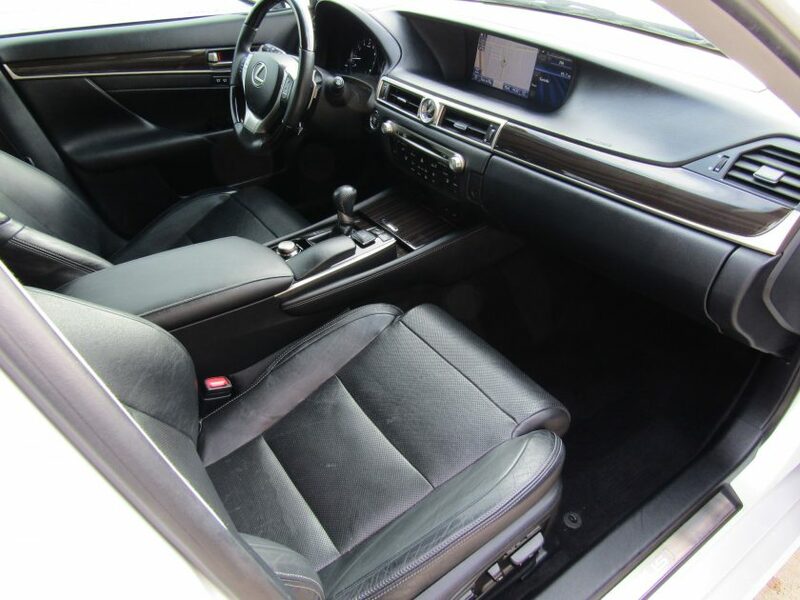 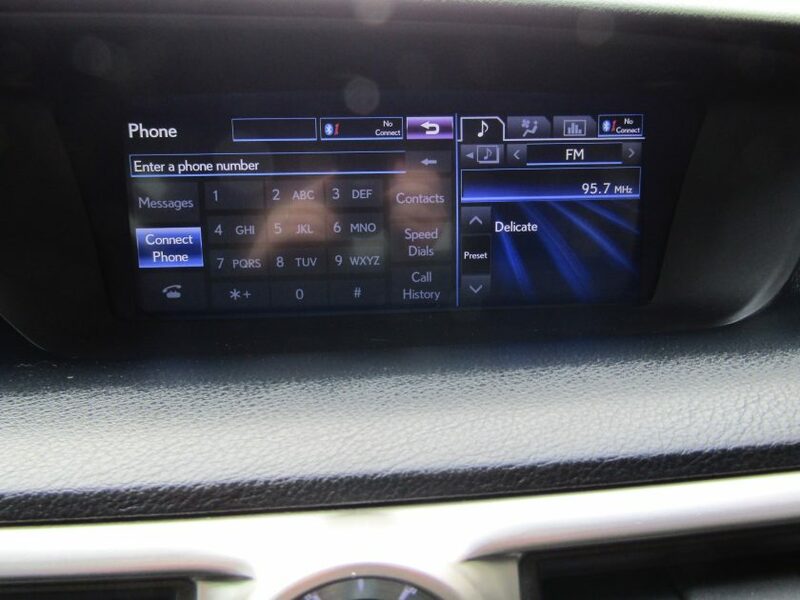 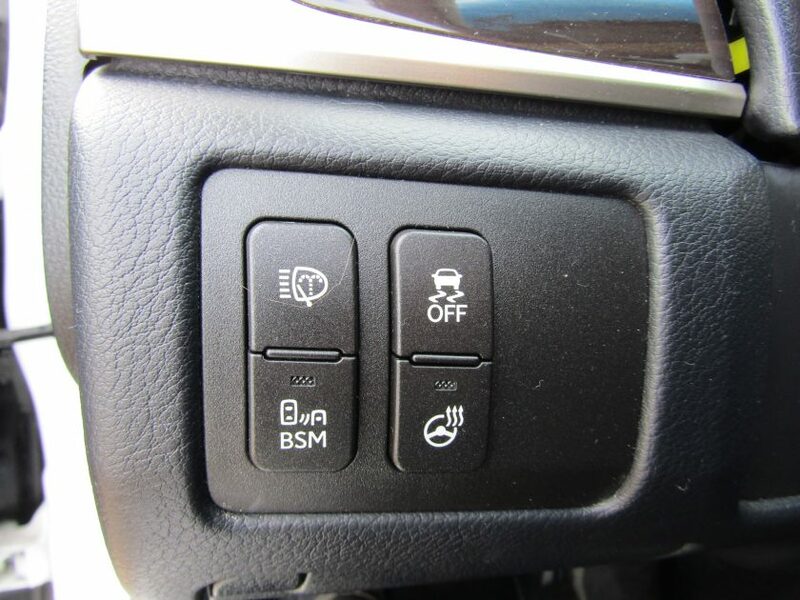 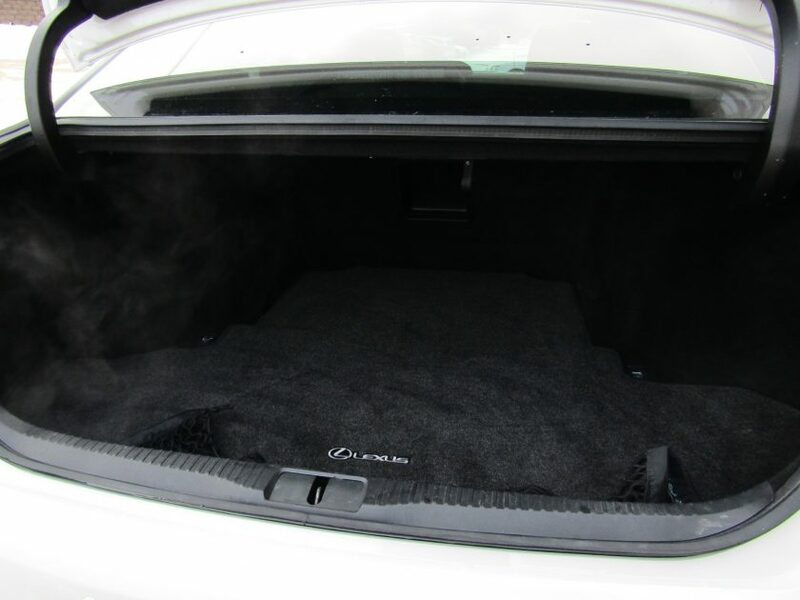 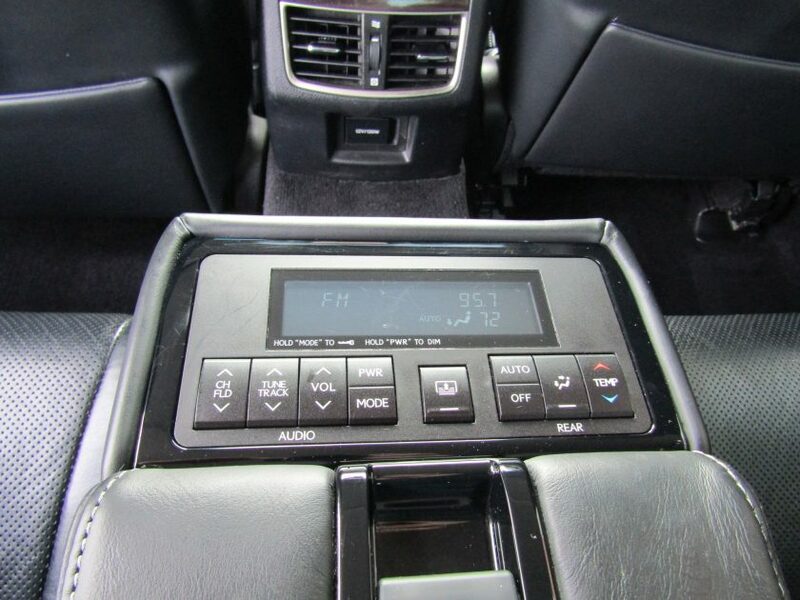 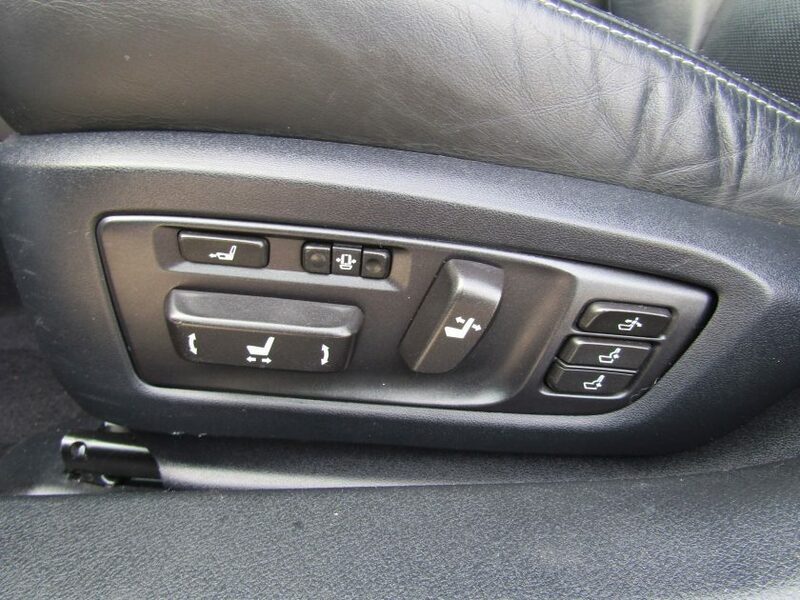 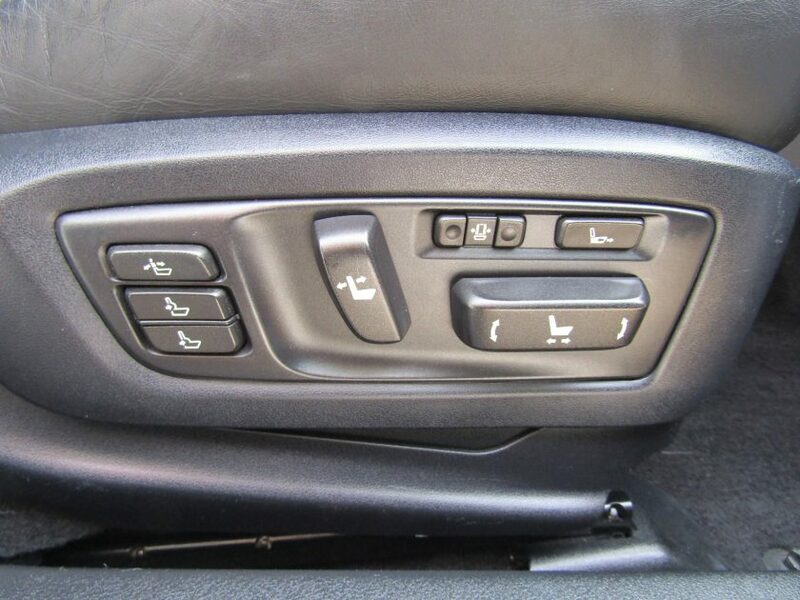 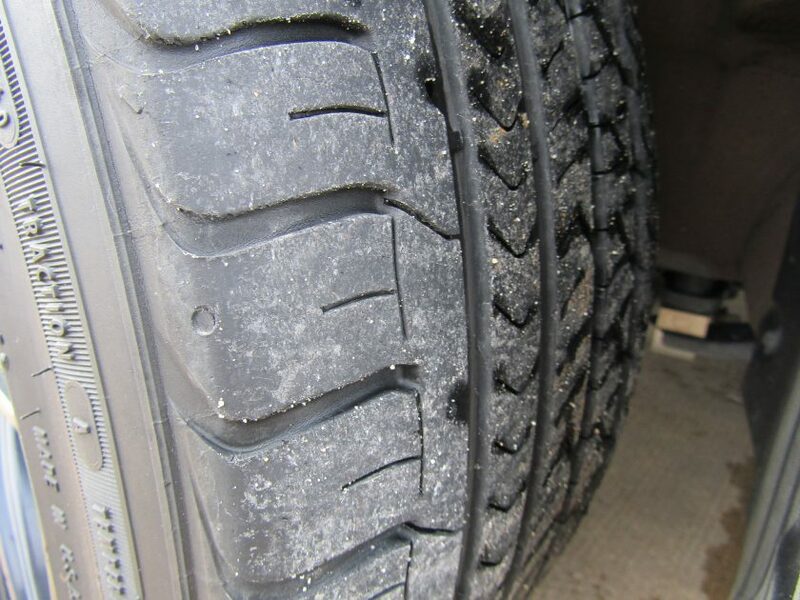 Then you factor in addition amenities such as heated and air cooled leather seats, heated rear seats, heated steering wheel, a huge factor screen with navigation, all-wheel-drive, Bluetooth phone, sunroof, automatic transmission, Blind Spot Monitoring, park distance sensors, and more. 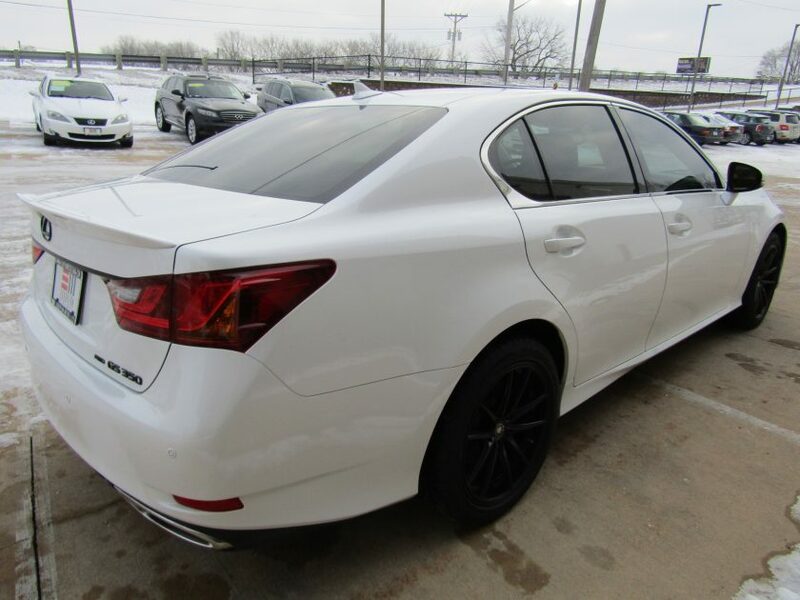 Inspected and comes with the owners manuals, new front brakes and 85% life remaining on the rear brakes, a new battery, and a set of floor mats. 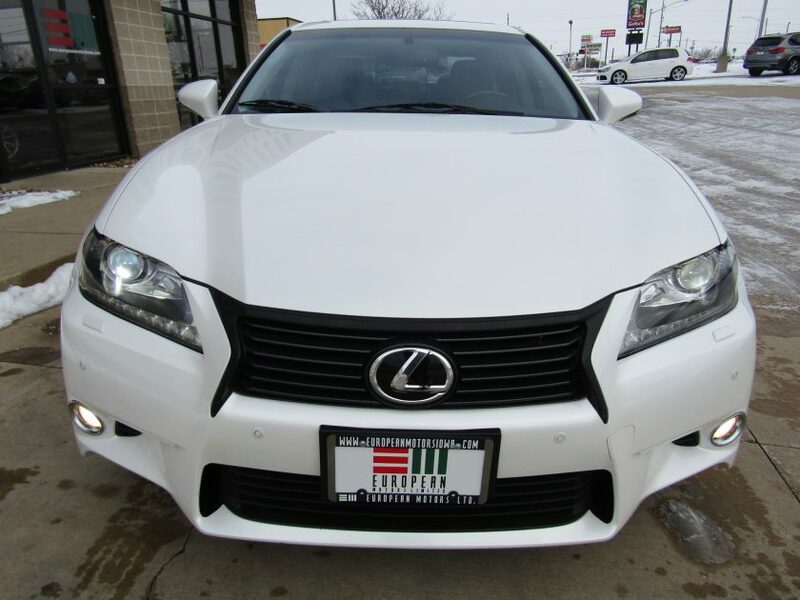 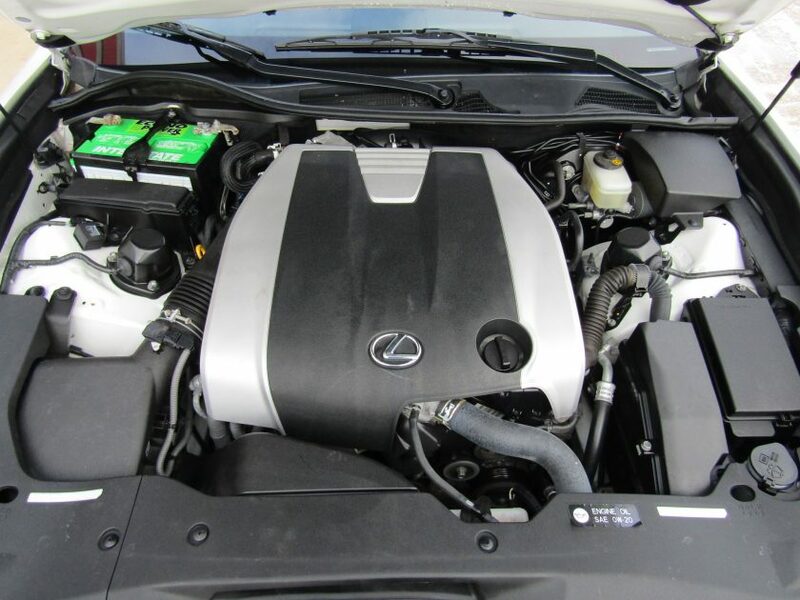 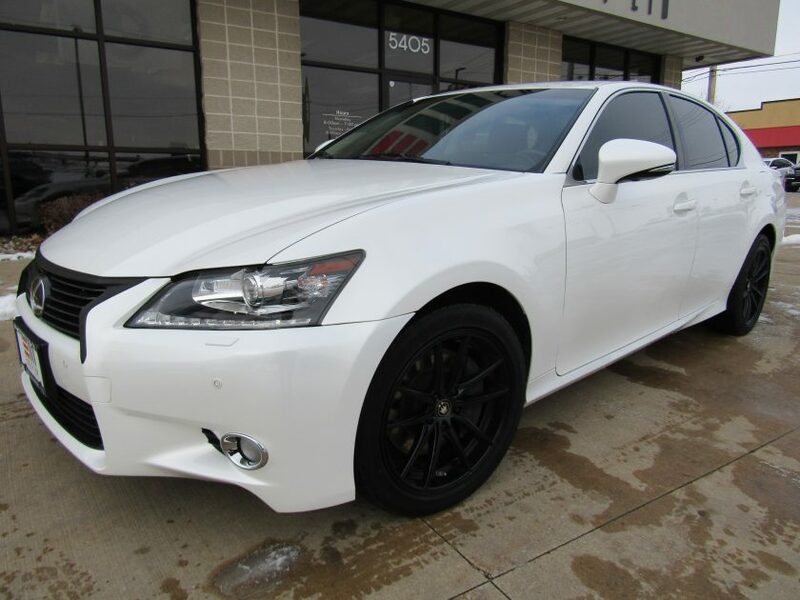 Stop in today and speak with Tommy, Suzy or Pete for more details on this gorgeous GS350.